The Moravian Teachers’ Choir was a choral ensemble, whose repertoire ranged from classical to popular and folk music, including compositions by Leoš Janáček. 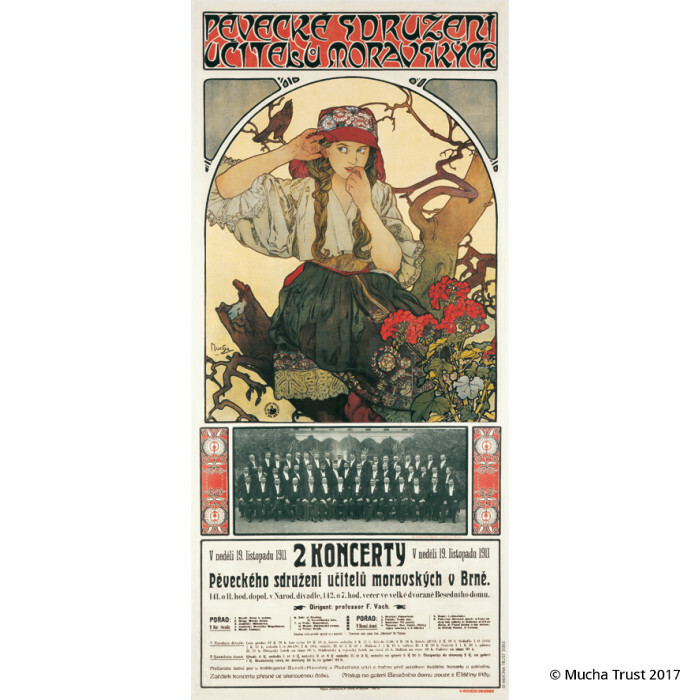 The choir toured in the Czech Lands as well as throughout Europe and the United States. 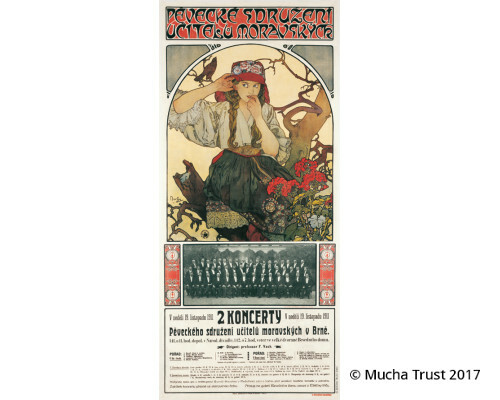 The poster features a young woman wearing a folk costume from the Kyjov region, depicted as an attentive listener. Her figure is reminiscent of the decorative panel of Music from The Four Arts cycle.